JLMS Enterprise has been developed over the course of many years providing online learning and webinars to allow HCPs to achieve and manage their Continued Medical Education (CME) accreditation. Offer content and portal offered in different languages/locale. Offer content targeted to different HCP types such as: Physicians, Nurses, Pharmacists or General Practitioner. Offer content that is online as eLearning or as physical/online classes or as webinars. 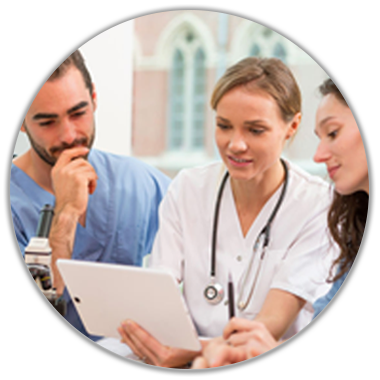 JLMS for HCPs allows you to quickly and effectively deliver a CME training strategy to ensure your HCP customers get the knowledge they need. If you are looking for an integrated learning platform to support your CME training needs, please contact us to discuss your requirements.